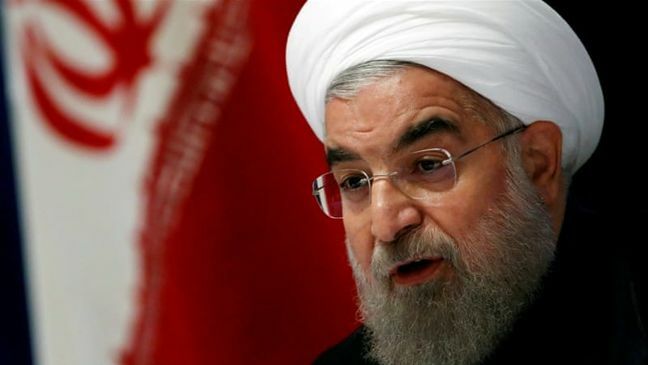 EghtesadOnlline: President Hassan Rouhani said on Saturday that the 12th government is to spare no efforts to tackle unemployment through annual creation of over 900,000 job opportunities. Rouhani made the remarks in a meeting with the Supreme Leader of the Islamic Revolution Ayatollah Seyyd Ali Khamenei in Tehran on Saturday. According to IRNA, members of the 12th government were also present in the meeting. Topic of the agenda of the new government will be banking system, retirement funds, budget imbalance, water and environment related issues which all should be resolved within next four years, Rouhani said. Reaching eight percent growth rate, fight against poverty and administrating social justice, renovation of industries, depending on non-oil income are among goals of the new government, Rouhani said. The government cannot attain such goal single handedly and other sectors such as banks, investment market, national development fund, private sector and foreign investments should get a helping hands, he said.